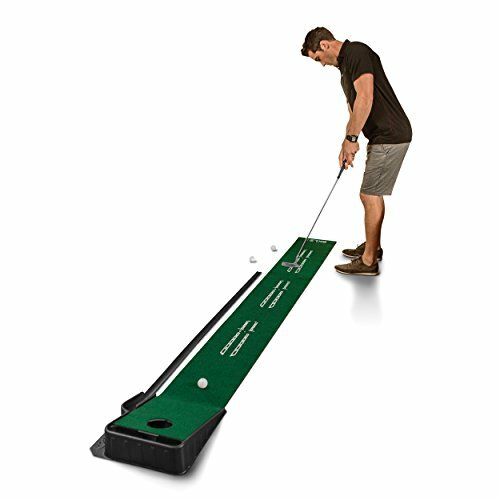 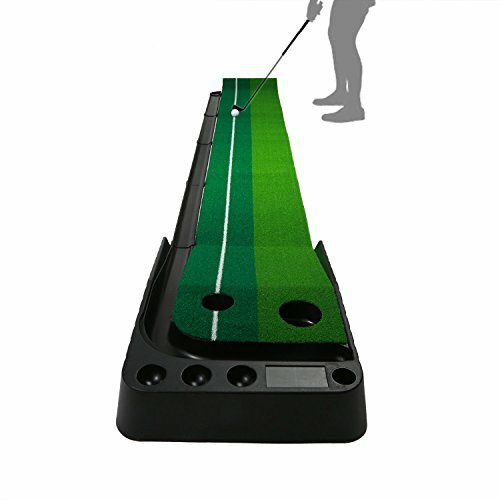 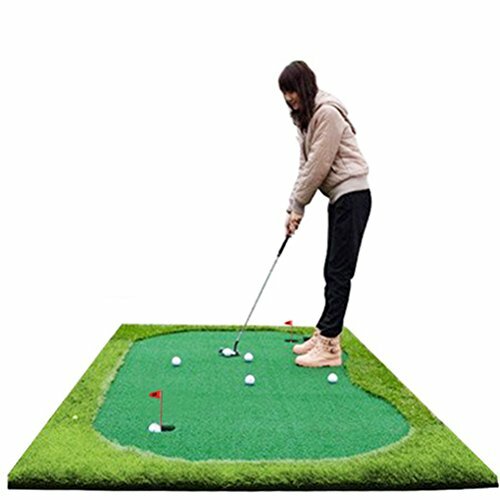 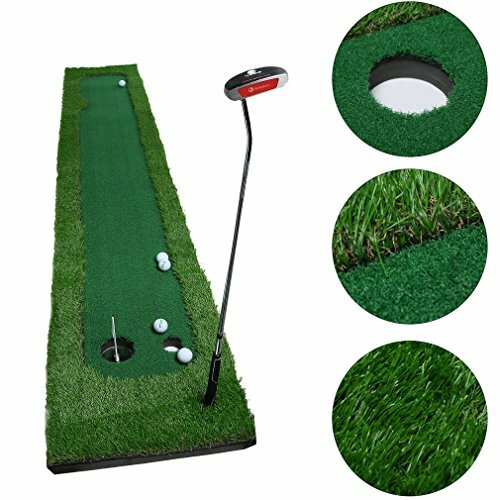 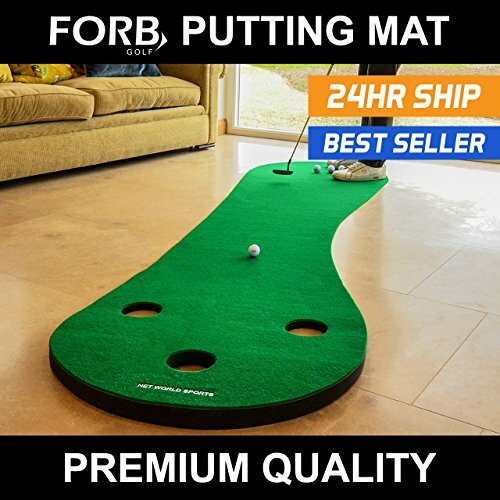 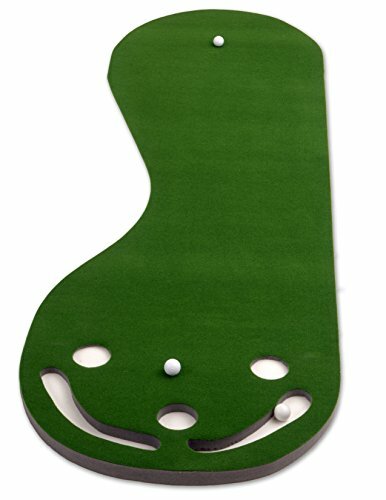 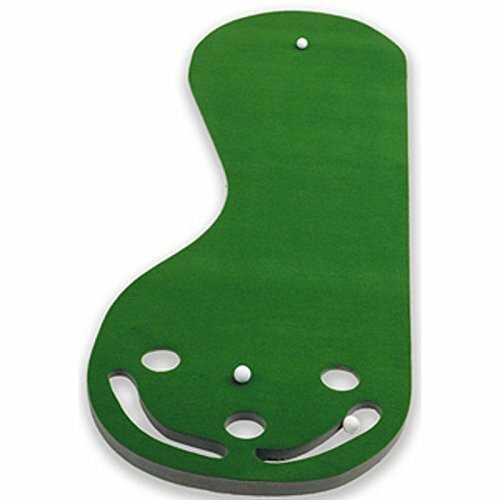 Made Of High Quality Simulated Grass Turf,Just Like An Actual Putting Green.Many Ball Holes,Suitable For Different Difficulty Of Putting Practice.High Elastic EVA Material,Environmental Protection,Not Easy Deformation.Stainless Steel Double-Layer Hole Cup.You Can Practice Golf Putter Swing In Home,Garden,Office And So On At Any Time,Which Can Exercise Body And Improve Your Golf Skill. 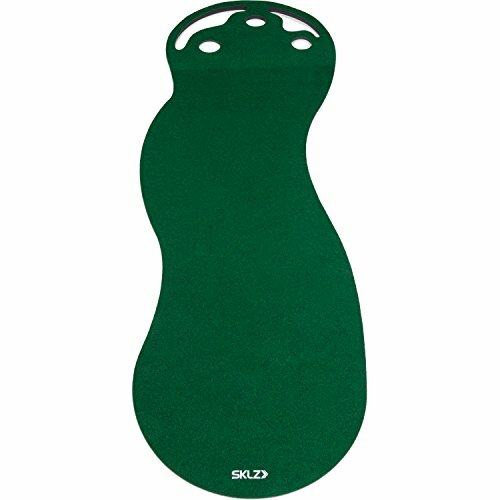 The SKLZ Putting Mat emulates a real green feel with true-roll surface for better putting practice. 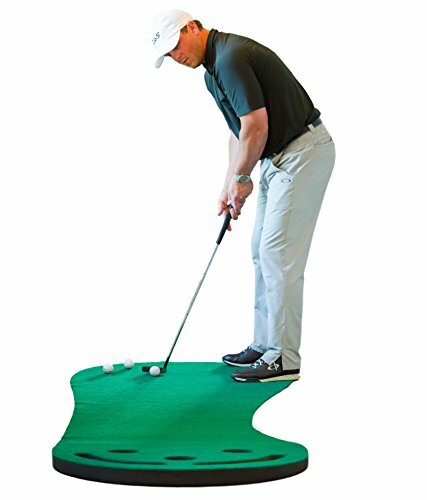 Work on all aspects of your putting game anytime, anywhere and build consistency, tempo, and follow-through. 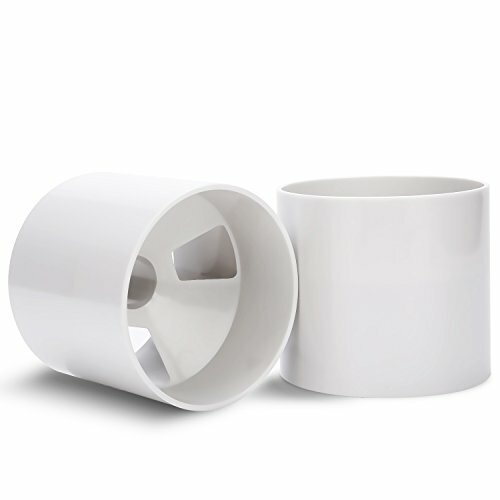 Challenge yourself, build confidence and have fun with three cups to choose from.